Television sets have come a long way since its original invention. 2018 has brought with it a slew of brand new and high-tech televisions that offer a myriad of features at different price ranges. Getting an older model may cost a lot less nowadays with the introduction of newer models. However, you might actually be missing quite a lot in terms of new developments in television technology. 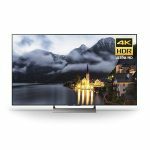 Most televisions offered by manufacturers in 2018 offer 4K resolution and HDR capabilities. These features now come as standard in large television sets that are 30-inch or higher. In fact, it is currently quite difficult to find a brand new 30 or 40-inch television set that isn’t 4K. 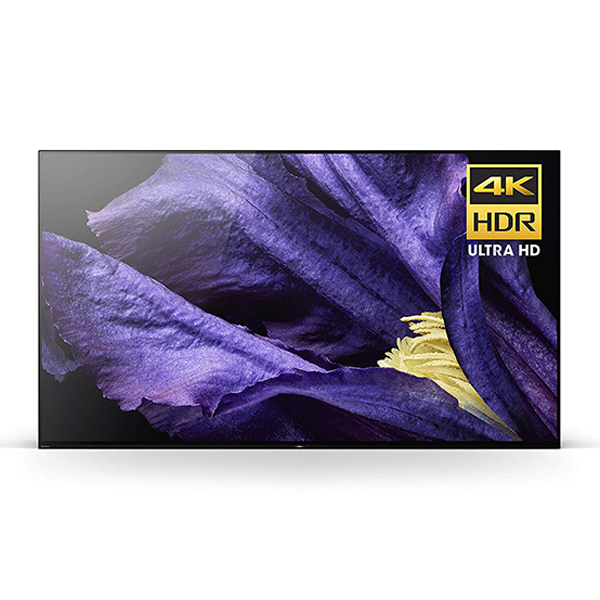 The new standard, which also known as Ultra HD, features a resolution of 3,840 by 2,160, with eight million pixels. 4K-resolution television sets have also dropped in price in recent years and are more affordable. Some 65-inch TVs, which is ridiculously large for some applications, now cost less than $1,000. Most television sets also offer an HDR feature. Newer LCD and OLED panels currently offer this feature, which elevates user’s viewing experience. HDR greatly expands a television set’s color gamut and gradients. They also improve the range of color and light information from the source signal. TVs with HDR typically produce more color and more luminance values, which translates to eye-popping images on the screen. With the availability of multiple streaming services, finding 4K content is now much easier. Users will, of course, need a stable and fast internet connection to take advantage of these streaming services. Most, if not all, of these services, now offer television series and movies in 4K resolution. Sites like Amazon and Netflix offer original programming that is in 4K. New movies and series aired on these sites are also available in 4K. There is also the option of watching 4K content on Ultra HD Blu-ray discs. However, this particular method will require a dedicated Ultra HD Blu-ray player or a console such as a Microsoft Xbox One S.
Television sets with “Smart” capabilities and the ability to connect to the internet have also now become a standard. Most television will have their own operating system built-in. However, “dumb” television sets can still become smart by simply connecting different devices to its HDMI port. Some popular options include the Apple TV, Google Chromecast, Amazon FireTV, and different Android TV boxes. 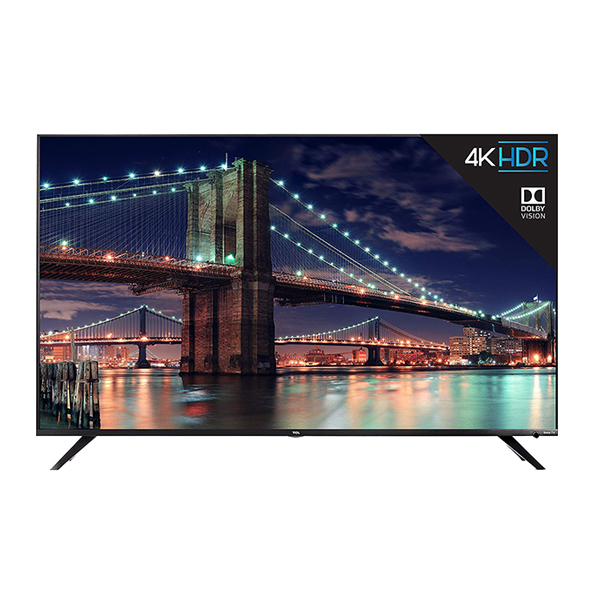 The TCL 6-Series is a no-brainer hit with its myriad of features such as 4K and HDR at a very affordable price. Its picture quality is also quite impressive. Its built-in Roku operating system is easy to navigate and use. 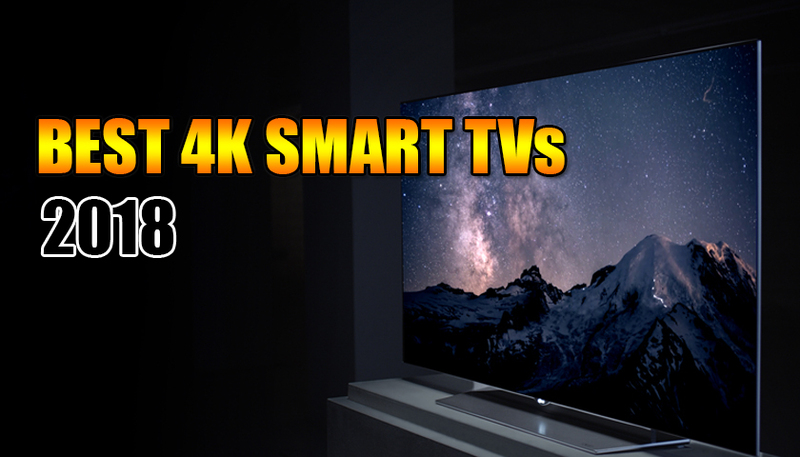 TCL unveiled its latest smart TV at the recently held 2018 Consumer Electronics Expo. The new television set was an instant hit amongst visitors given its affordable price and great features. TCL introduced quite a lot of new technologies with the new models. This includes its new NBP Photon technology, which creates an extremely wide color range. This technology works in conjunction with the television’s HDR imaging system and its Dolby Vision technology. The brand new model also brings with it a lot of improvements when compared to last year’s offerings. Its full array panel performs spectacularly well, even when compared to televisions that are twice or thrice its price. In terms of design, the TCL 6-Series is a bit on the thick side, but that really doesn’t matter considering how much technology is inside the device. Compared to last year’s model, the new 6-Series also brings with it improved HD and 4K performance. It is a perfect device to enjoy movies and games, especially with its Dolby Vision feature. It also doesn’t hurt that the new 6-Series still retains the two downward-firing 8-watt speakers as last year. Both speakers produce a decent amount of sound, at least for small to medium-sized rooms. As for its smart capabilities, the TCL 6-Series doesn’t have smart assistants and AI technology like the more expensive models. However, its Roku TV feature does deserve a lot of praise. The operating system is able to deliver an impressive amount of content from every known streaming service out there. Its easily searchable database is also an added bonus. Especially for those who have a hard time looking for things they want to watch. For under $1,000, buyers will not find a better product with better features. Those with deep pockets will likely want to look elsewhere, but for the majority of us who do not have thousands of dollars to spare. The TCL 6-Series is the best choice hands down. Sony’s latest flagship OLED TV is the stuff 4K enthusiasts dream about. It sports the latest Android Oreo TV operating system. It also has an impressive UHD panel powered by the company’s new X1 Ultimate image processor. It’s built-in Acoustic Surface Audio technology also sounds amazing. The Series A9F is Sony’s second-generation flagship. It competes directly with Samsung’s Q9FN OLED and LG’s E8 OLED offerings. This means that Sony isn’t holding back with offering customers the best OLED panel it can build. The television set also features the company’s latest X1 Ultimate image processor. The TV brings with it two new intelligent image processing modes. Namely Object-based Super Resolution and Object-based HDR remaster. These modes greatly enhance objects within the frame, improving their definition. The pixel panel also helps boost color and contrast supported by an unbelievably wide color gamut. Sony has included an improved version of their Acoustic Surface Audio system, hence the “plus” moniker. The technology doesn’t use conventional loudspeaker drivers. Instead, it uses vibrating actuators on the display panel itself to generate sound. This allows the television set to be as thin as possible without sacrificing audio quality. The newer version found in the A9F adds a third center actuator, which greatly increases stereo image at all volumes. This results in full directional audio that is clear and loud at the same time. The A9F sports a number of connectivity options. Its HDMI inputs all support 4K signals at various color sub-sampling. Other inputs include digital optical audio, USB, AV, and Ethernet. Bluetooth and Wi-Fi come as standard, which they should at this price point. The biggest improvement with the new model comes with its built-in operating system. The latest Android TV Oreo now comes pre-loaded. The user interface is now logical and easy to navigate. It also offers a plethora of new features. This includes curated recommendations and recently watched content. Streaming services such as Netflix, Amazon, and YouTube are all viewable in 4K on the A9F. For those that can afford it, the Sony A9F is one the best OLED offerings in the market. Its X1 Ultimate chipset produces great detail and color nuances resulting in amazing image quality. Its Acoustic Surface technology is also more than just a gimmick as it does offer a great audio experience. 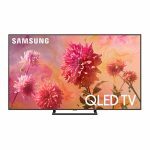 Samsung latest Q9F QLED TVs have been significantly updated over the previous models. The new panels sport impressive brightness levels and contrast. This is partly thanks to its direct LED lighting system. The new panels deliver some of the best 4K HDR output in the UHD TV market. Samsung has significantly updated its QLED technology with its latest offerings. This rings especially true with the company’s new Q9F QLED series of television sets. The new models are much more colorful and vibrant when compared to the previous models. Samsung has implemented its Full Array Local Dimming technology. This tech is much better than edge backlighting in delivering better contrast. The system also works with the company’s QLED Quantum Dot technology resulting in bright and colorful images. 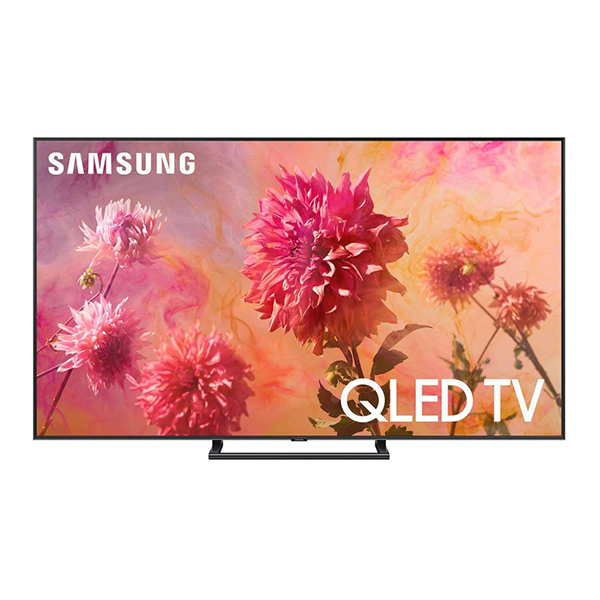 The new Q9F television sets feature a fairly basic design that it minimalist and straightforward. The TV sports a 360-degree Bezel-less screen, which makes it look very sleek and modern. The TVs also have a great cabling system and an Ambient Mode which makes it blend in with the décor. As for its smart TV capabilities, Samsung continues to impress with its sleek proprietary smart TV operating system. The user interface is easy to use and quite comprehensive in giving users what they want and what they need. The Q9F sports all of the latest technologies Samsung has to offer, including built-in Wi-Fi and HDR. HD and SD content look quite spectacular on the Q9F thanks to Samsung’s capable upscaling processing. HD content on the native 4K screen has more detail without much noise. The extreme brightness, wide color response, and deep contrast result in jaw-dropping pictures and video. It doesn’t hurt that Samsung has also added HDR10+ technology to help generate extremely dynamic and intense images. Samsung also guarantees customers against burn-ins for at least 10 years. Samsung continues to push the boundaries of LED technology, even if other companies are moving on to OLED. The Q9F is Samsung’s testament to its success. 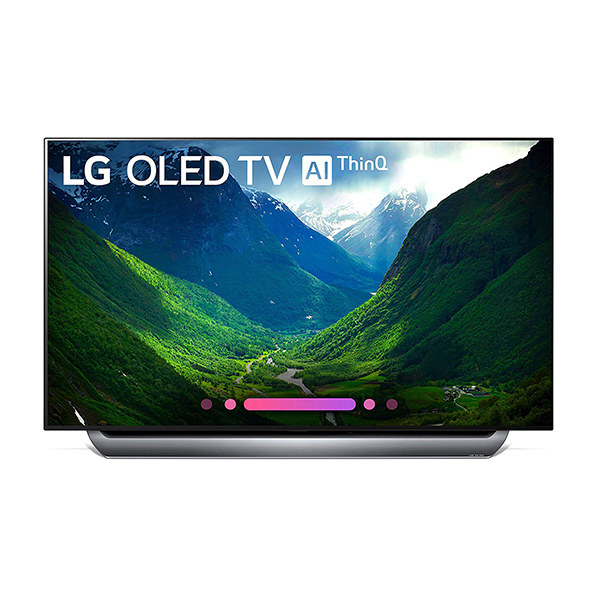 The Q9F is an amazing device that can be an all-around television for movies, games, and online content streaming. The Sony Bravia 65X900E is Sony’s mid-range offering. Despite its surprisingly low price compared to its other products, the 65X900E is still an amazing performer. It handles HDR pictures better than other products in its price range or higher. At a price that most people will likely be able to afford, Sony’s latest mid-range LED TV is sure to be a hit. The 65X900E looks like a premium product from afar. However, it is actually mostly plastic, which is likely to keep prices down. Consumers who are more into the TVs capabilities will likely not be minding this particular cost-cutting method. Especially since the TV does offer a lot of high-end technologies. Connectivity with the 65X900E is surprisingly abundant. It sports four HDMI ports and three USB ports. It also has built-in Wi-Fi and an integrated Ethernet Port. Even without these connections, owners will still have a lot of access to media thanks to the TV’s built-in Android TV operating system. The OS has improved dramatically over the years and it continues to impress. The user interface is relatively easy to navigate. Amazon and Netflix all support 4K and HRD out of the box. Sony has chosen to install a less powerful image processor on the 65X900E. However, this doesn’t mean that the TV is a slouch. In fact, the device excels in scaling up HD and SDR content. This is mostly due to the integrated X-Reality Pro HD to 4K Upscaling system that does its job flawlessly. The system adds a lot of extra detail and color to different videos resulting in vibrant outputs. The 65X900E also sports the company’s Slim Backlight Drive technology. The new tech delivers great brightness and contrast. 4K performance is also impressive thanks to Sony’s ever-dependable Triluminous engine. 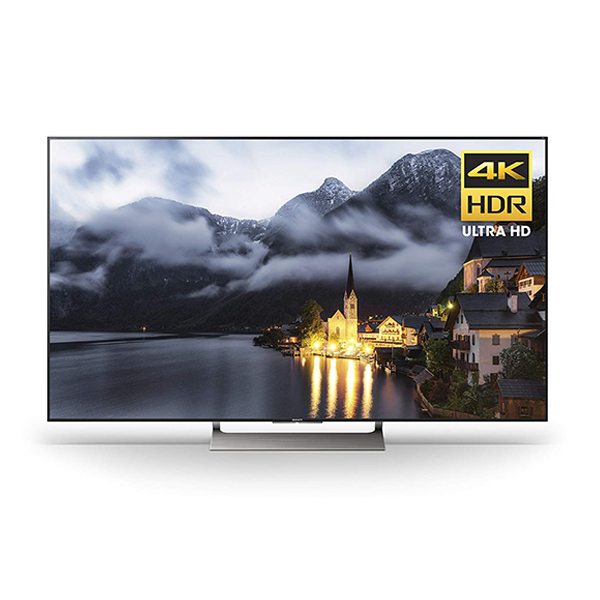 The 65X900E is a 4K LCD TV that sports a number of Sony’s latest technologies. At a surprisingly affordable price, this mid-range offering stands out from the crowd. It simply delivers punchy and dynamic images that other more expensive models cannot match. LG has combined all of the winning features of its previous products and created the LG C8-Series. The new models provide impressive picture output through a myriad of technologies. The C8 impresses not only in function but also in design. 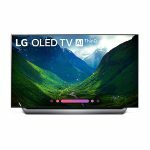 LG has been dominating the high-end OLED TV market over the past few years. The company has combined top-end performance with an aggressive pricing strategy. Its strategy has so far put its direct competitors at bay. The new C8 OLED TVs are its latest offering with a lot of improvements over its predecessors. In terms of its design, the C8 is one of the most beautiful-looking TVs in the market. The elegant design is simple and ultra-thin. There are no bezels to speak of as a thin metallic trim is the only thing users will see around the outer edges. Despite being extremely thin, the TV has all the necessary connectivity ports. This includes four HDMI inputs and three USB ports. It also has an optical digital output, a LAN port, and a CI slot. Wireless connectivity is abundant as well with its built-in Wi-Fi and Bluetooth. LG’s Web OS continues to impress. The company chose to keep things as it is. The OS is intuitive and highly responsive, which should be good for those who have gotten used to it already. LG has updated Voice control with the integrated ThinQ AI. The built-in AI system allows the device to communicate with other smart devices. It is even compatible with Amazon Echo speakers and Google Home. HD and SDR content is superb thanks to well-saturated colors and deep contrasts. Content is rich in natural colors and is free from discoloration and crush. This is thanks to the built-in Alpha 9 image processor that takes HD images and upscales them to the native 4K panel. There are a number of picture modes to choose from. Game mode is of particular interest as it does greatly improve input lag and responsiveness. The panel itself isn’t the brightest on the market, but it still manages to present very accurate images and colors. The C8 OLED TV packs an extensive list of features all wrapped up in a beautifully designed package. Its unrivaled smart TV platform is one of the best in the market. 4K and HD video performance are also unparalleled in its segment, making the C8 a great buy for those who are looking for the best.